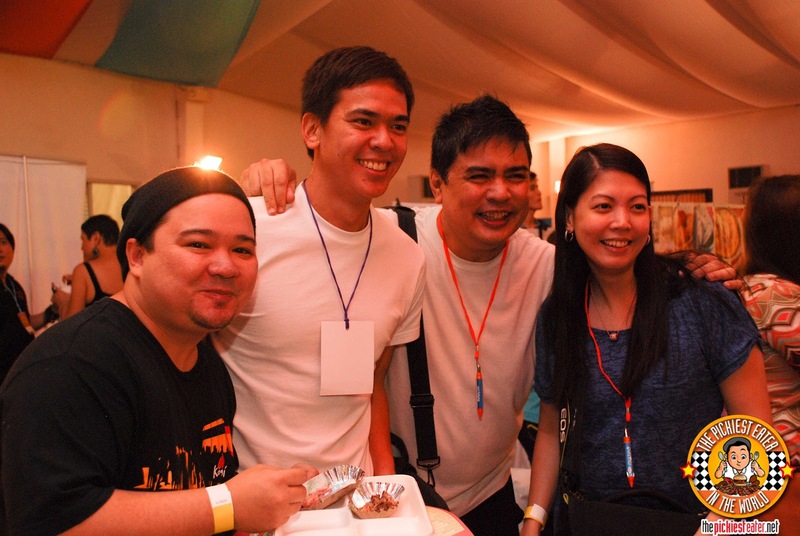 THE PICKIEST EATER IN THE WORLD: ROCKWELL'S 2ND ULTIMATE TASTE TEST PICKS! 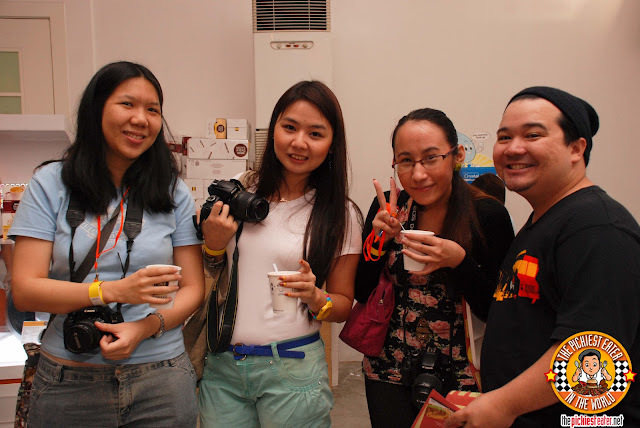 The last time I went to Our Awesome Planet's Ultimate Taste Test in Mercato Centrale, I really didn't have a good time. Since the taste test would only last from 7pm til around 11pm or so, people were scrambling to get a chance to sample some of the country's best kept culinary secrets. It was honestly a bit too crowded and it became ridiculous to line up for around 20 minutes and come out of the tent all sweaty, with half a brownie in your plate. 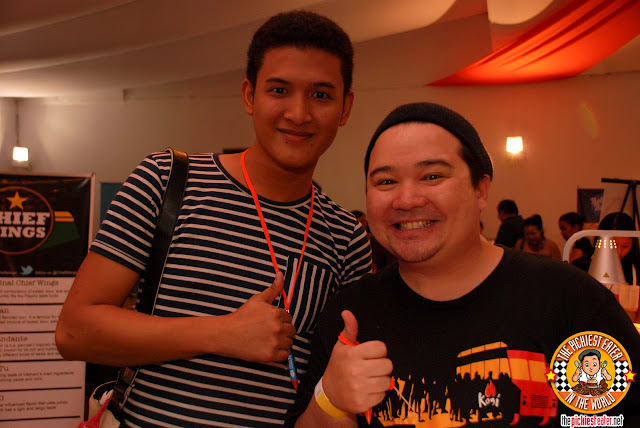 During the course of one of his blogger gatherings, I told my blogger friend Spanky Enriquez, who happens to be a good friend of Anton Diaz, the man behind Our Awesome Planet and the Ultimate Taste Test, and he just replied, "Wait for the one in Rockwell". A few months later, I realized what he meant. 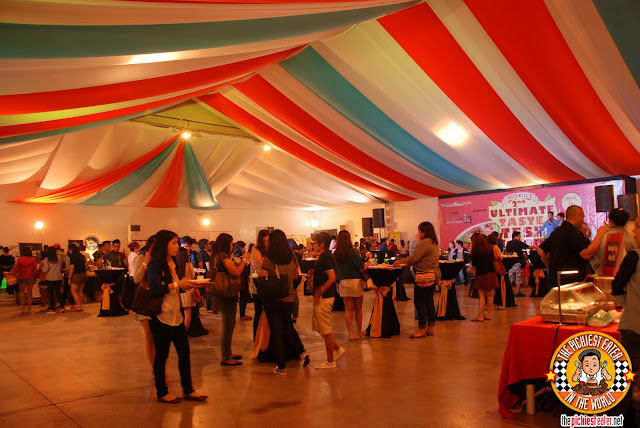 The Ultimate Taste Test X held in Rockwell was far more orderly than the one I attended at Mercato Centrale. Since it was a whole day affair, it had a relaxed atmosphere, and I didn't have to clothesline an old lady for a piece of a chicken wing. 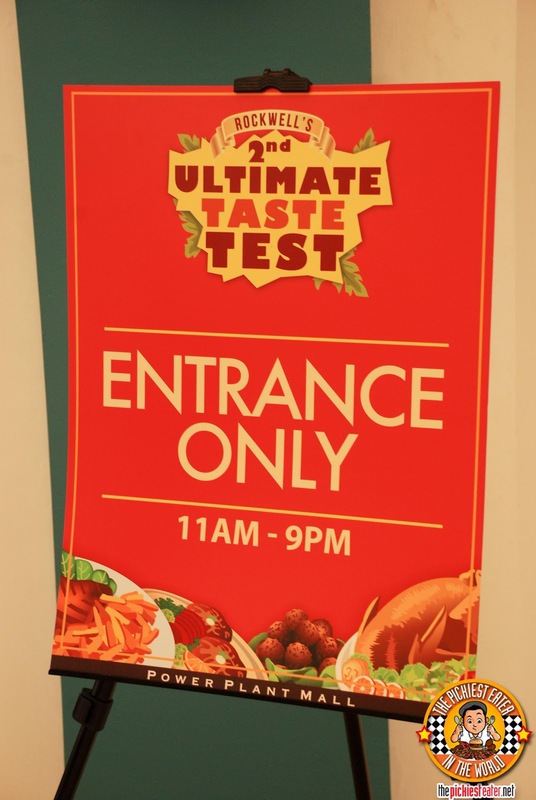 As you can imagine, I can't mention every single thing I tasted at the Ultimate Taste Test X, but I do want to share with you the best things I was able to try. 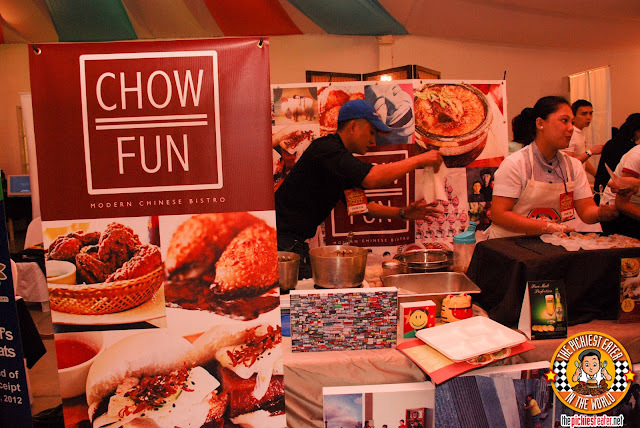 I don't want to count Carlo's Kitchen's Crunchy Belly, Mama Lou's Panzarotti & Masatami Shaved Ice's Swiss Cheese because they belong in the Pickiest Eater In The World's Hall of Fame List.. Basically these are some of the Concessionaires that I hadn't tried yet. 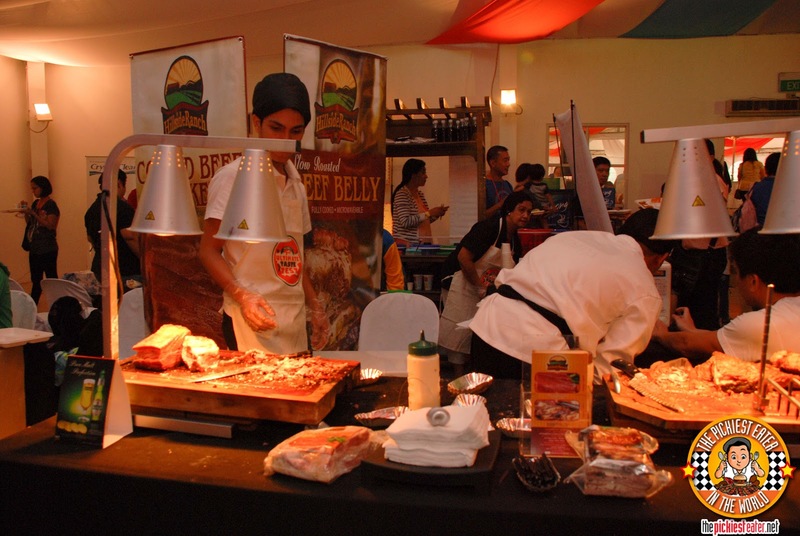 Among the savory concessionaires, my choice for the best stand had to go to.. Without a shadow of a doubt.. 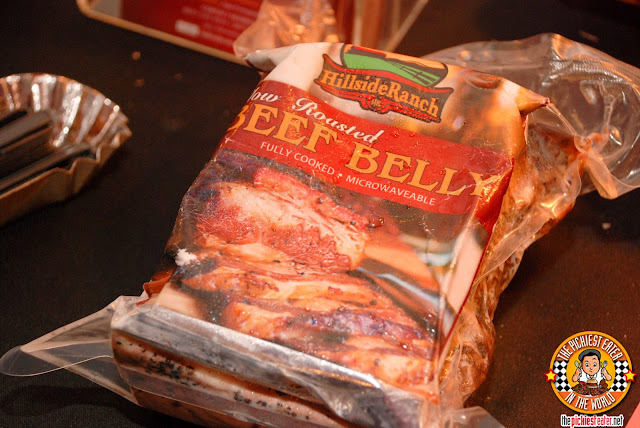 The darn thing just melted in your mouth, I kid you not. The meat had a generous amount of fat on it, making the meat so juicy and full of flavor. They drizzled it in a bit of a peppercorn gravy type sauce, but truthfully, it didn't need it. I Also enjoyed Hillside Ranch's Corned Beef Brisket.. Like the Beef Belly, it was so tender and juicy as well. 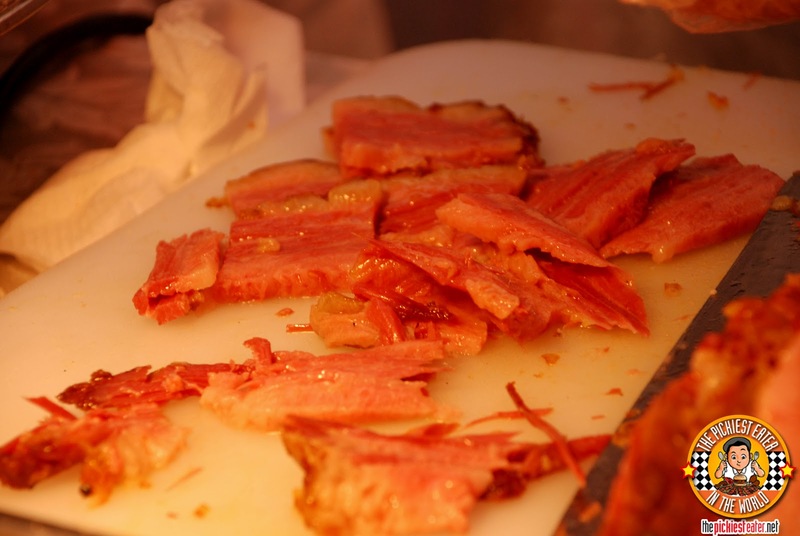 It had a nice lining of fat that I don't usually see in corned beef. 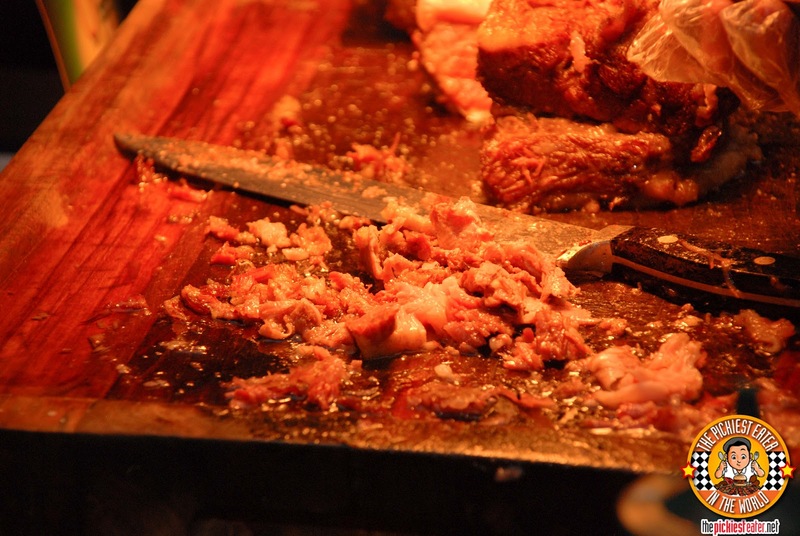 I've never wanted to lick a chopping board so badly in my entire life. The other notable food exhibitors that caught my eye (and tastebuds) were.. 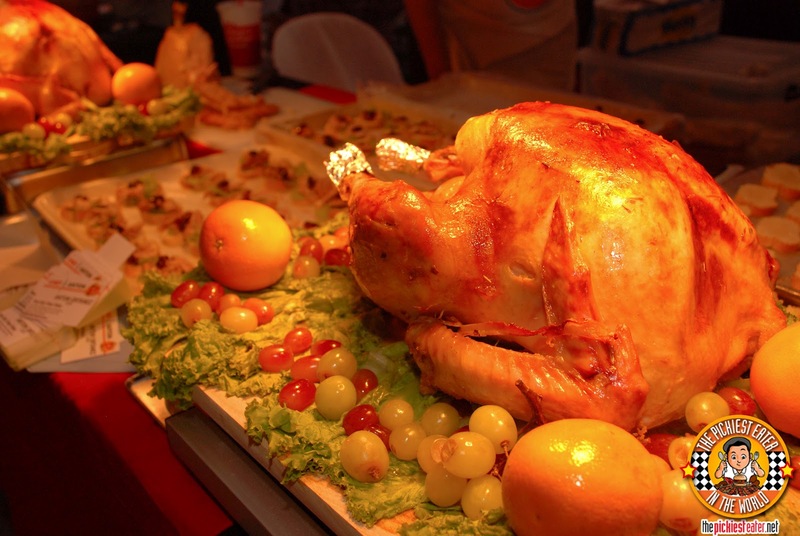 This was seriously plump, juicy turkey that really made me want more.. and Don't laugh but I asked for a second helping! 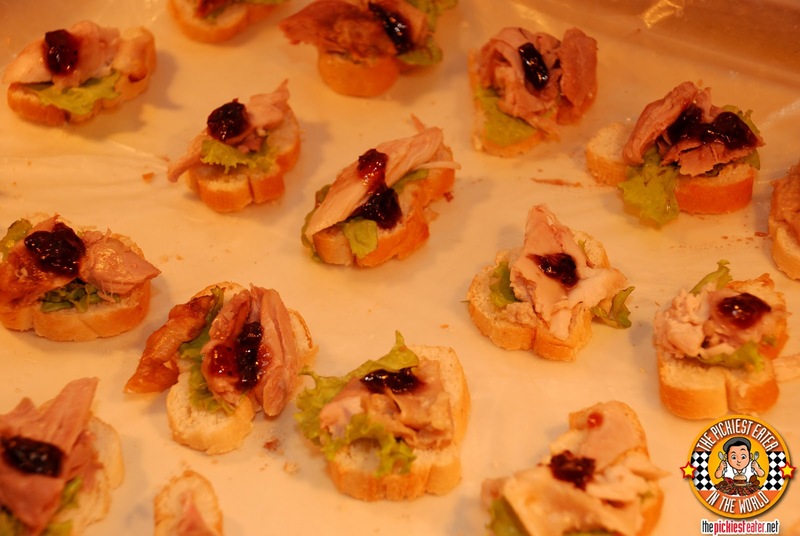 I love the sweetness of the cranberry sauce that enhanced the flavor of the turkey. I didn't even notice there was lettuce in it! 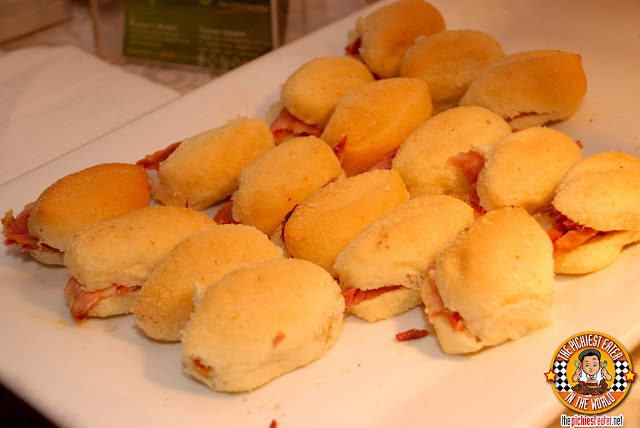 The Plaza had some very good fiesta ham placed in between little pan de sals. 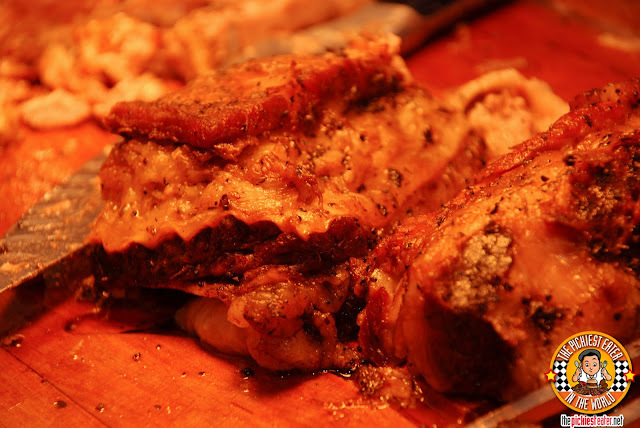 Rina loves simple food like this, so this really left a good impression on her. 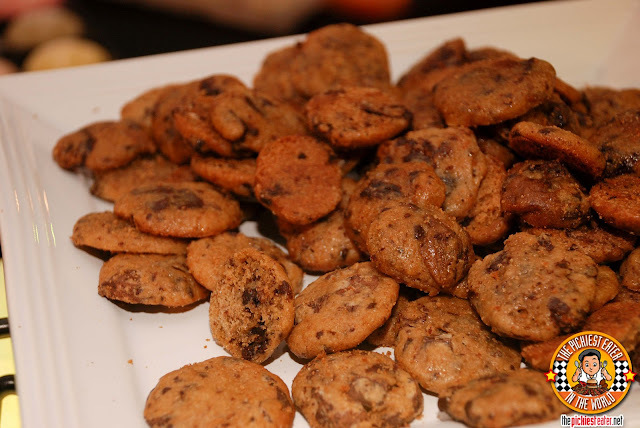 On the Dessert side.. My favorite exhibitor was.. I've said it before, and I'll say it again.. Blue Toque is going to be the next big thing in the Dessert/Pastry scene. 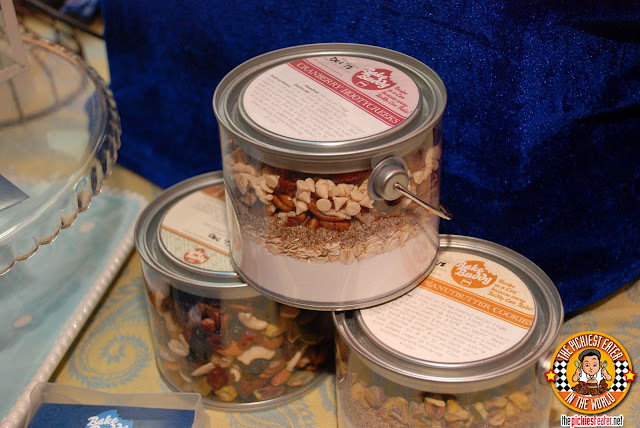 It would be best to get a sample of their goods NOW before they breakout into the mainstream. 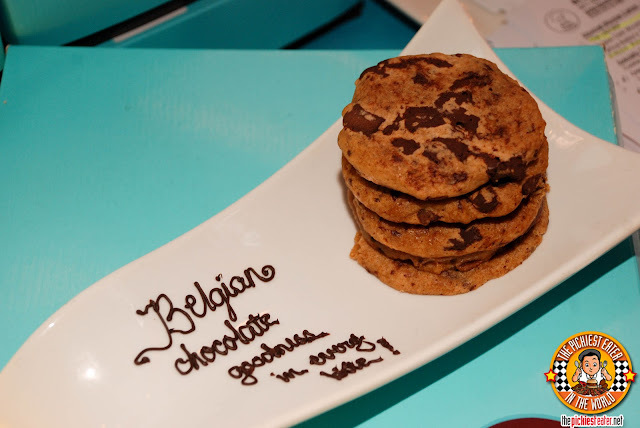 This is definitely a dessert maker that you want to be able to say, "Yeah, I knew them before they became famous..."
Their Belgian Chocolate Chip Cookies were absolutely divine, with every chocolatey bite just makes you never want to stop chewing ever again. Had Blue Toque owner Mary Anne Ramos not been hovering around her booth at all times, there's a very good chance that I would have found a way to steal her Nutella Mousse Cake. Rina wasn't being very cooperative (I said, "You distract her while I'll grab-".. She walked away, shaking her head without even letting me finish! Kinda rude, don't you think? ), so I abandon my plans. 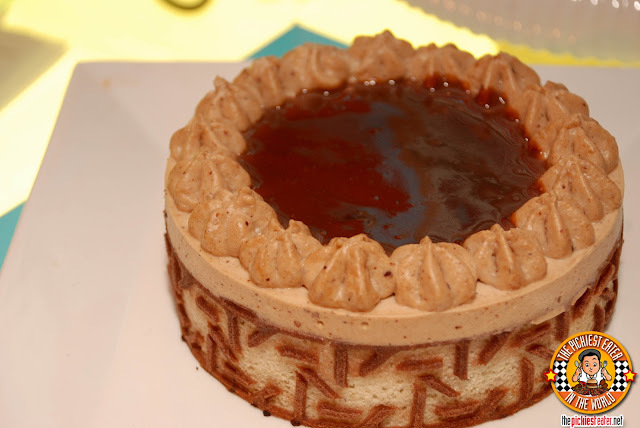 But you can't help but be impressed with the precision put into the intricate design in the cake, especially the pattern around it. 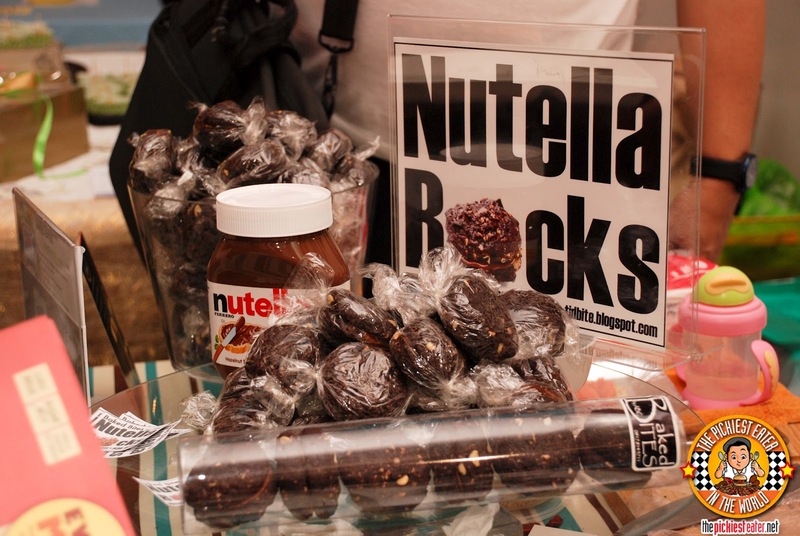 It would be wrong for me to not warn you about Baked Bite's Nutella Rocks. 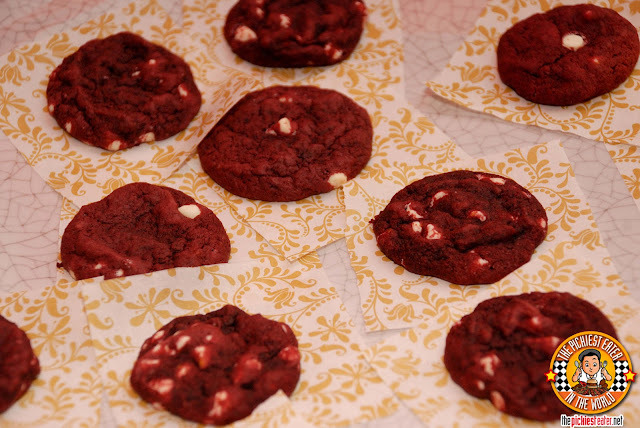 They are extremely addicting, to the point that one "rock" will not be enough. All it takes is one bite into the goodness of Nutella mixed into the chocolate base and you're hook. 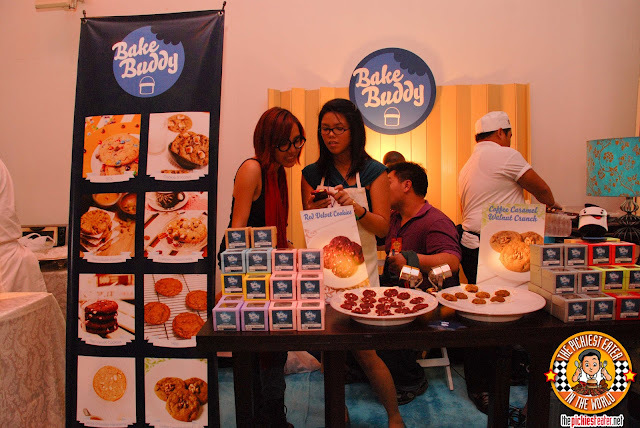 Another Stand that had some delicious Cookies, was Bake Buddy. Their Red Velvet cookies were a delight to munch on, and I could see Rina and I sitting down in front of the television with a huge bowl of this, and going on a DVD Marathon until all the cookies are devoured. (And there's even a slight chance that I'd let Rina have one). Something that caught my attention was how Bake Buddy lived up to their name and sold "Recipes in a Can". Everything you needed to make some freshly baked cookies! Genius! My friends have been raving about Chow Fun, but I haven't been able to try it yet. Thankfully, they were part of UTTX, so I was able to try their modern twist on classic Chinese dishes.. 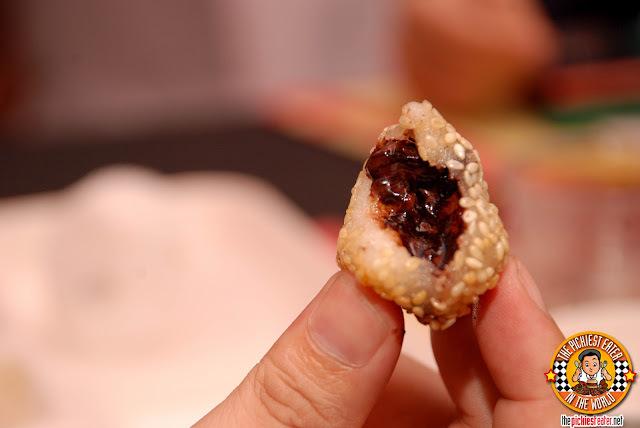 They took the timeless buchi, and spruced it up by filling it with Dark Chocolate. Though I'm not too much into dark chocolate, I have to say it was really quite delicious, as I liked the "butchi" itself.. It was soft and very moist. 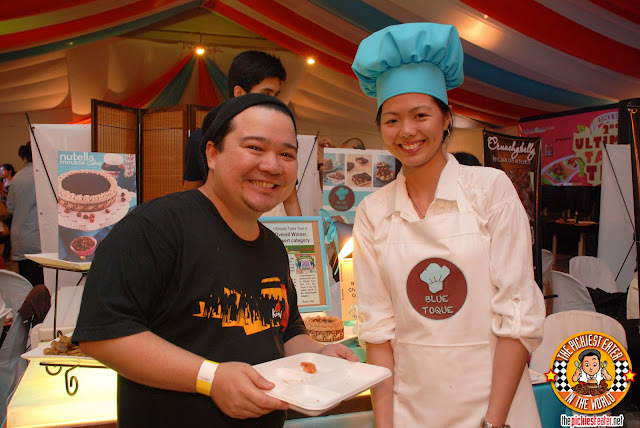 Rina and I had a blast at Rockwell's 2nd Ultimate Taste Test.. I can't wait for the next one! 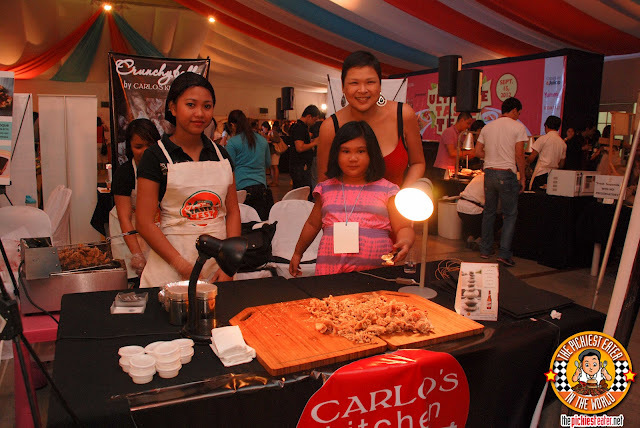 Kat of Carlo's Kitchen & her lovely daughter Andree..
(whose name escapes me, so sorry) who recognized me from my blog! 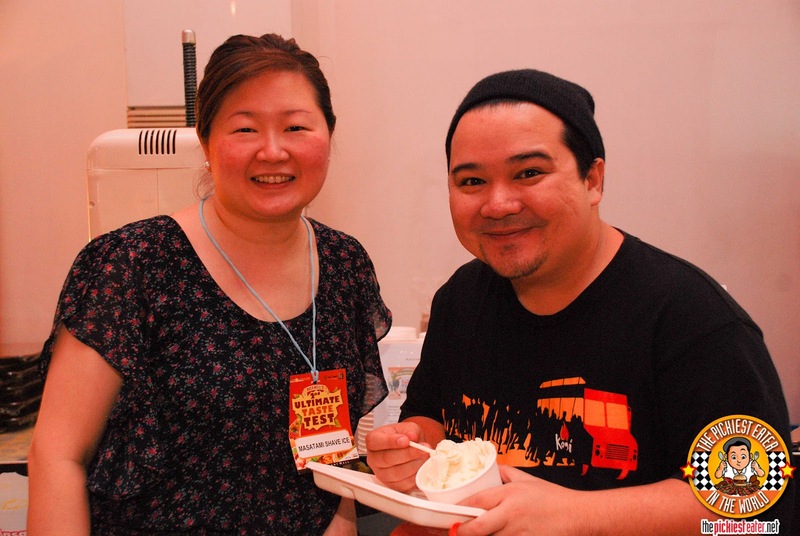 The woman behind Masatami Shave Ice in person! 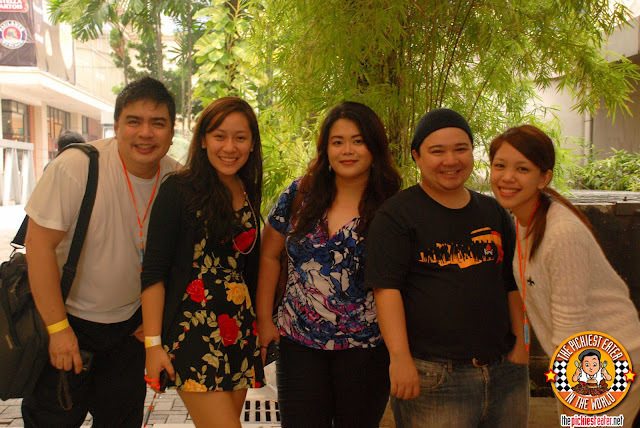 The lovely ladies of The Foodies Circle! & Sumi of The Purple Doll! Great Job Anton and Rachelle! Holy cow! 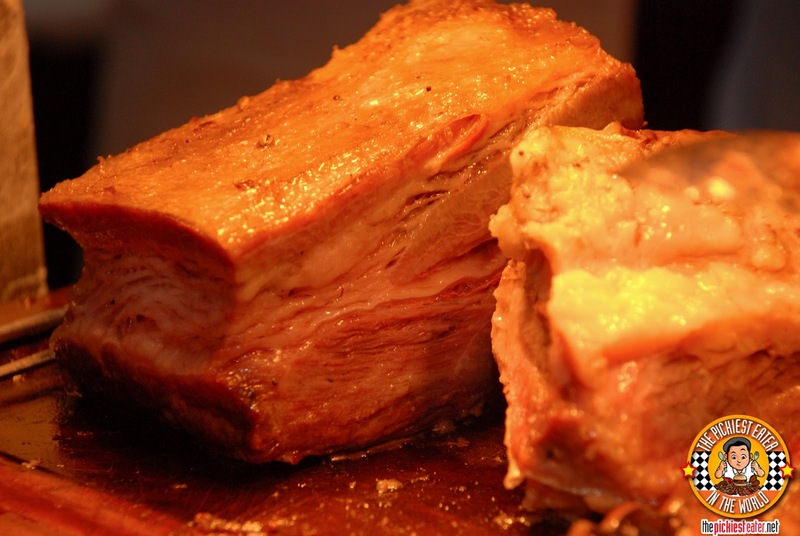 That corned beef brisket looks perfect! Aww I totally missed it... Wow! Richie the Beef Belly looks insanely amazing! It tasted as good as it looked!! Grabeh, super busog nun. Ken was so inggit, especially because of all the savory and meaty stuff we enjoyed. haha you too Angelina.. i mean.. Mhel!